Due to their complexity and larger size, sectionals are bigger investments than sofas. So that’s all the more reason to choose the right sectional for your home. Like one of the top-quality, superbly constructed pieces below from Bradenberry Amish Furniture. Make the Digby Sectional the centerpiece of your living room. It is handcrafted with solid wood and provides comfort for both relaxing and entertaining. The sectionals from Brandenberry Amish Furniture give you different options for seating and lounging. And you can rest assured each of them would be a commanding, head-turning centerpiece of your living room or den. 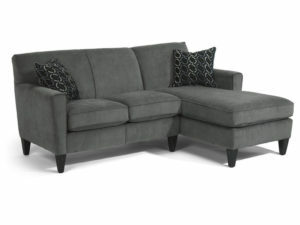 The Dempsey Sectional features sleek lines and a well-crafted, contemporary look. Plus, its Flexsteel Blue Steel Seat Spring exemplifies its superior construction. 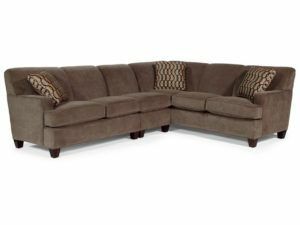 Skilled craftsmen fashioned the Digby Sectional around a solid hardwood frame. And they included a C-Flex Flexsteel Spring Unit. Plus a chaise for stretching out and relaxing. Imagine the comfort and fun this sectional would bring to your home. 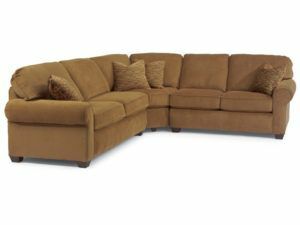 In addition, with its plush cushions and large size, the Thronton Sectional has room for the entire family. You can customize each of these sectionals to fit your needs and desires.